MOST people are busy with their work during weekdays and barely have time for exercise. But when the weekend comes, hiking enthusiasts just can’t wait to rush out of the door and head for a good mountain trail. Shenzhen, though a modern metropolis, is home to some mountains worth trekking. In this article, we will list out eight mountains that cannot be missed just a stone’s throw from where we live and work. 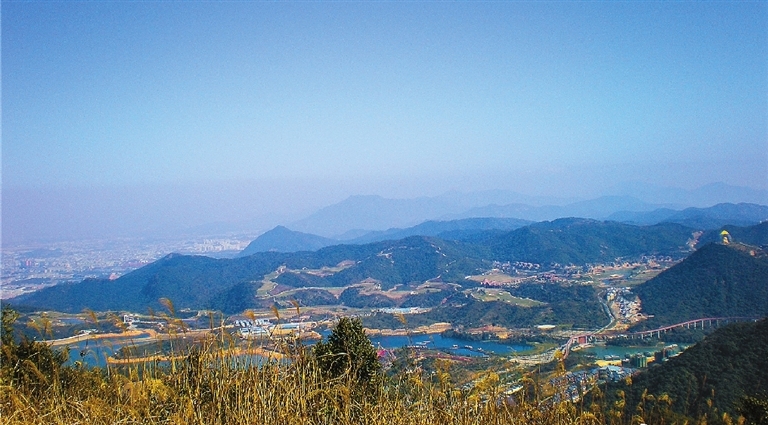 Located in Yantian District, Meishajian Mountain is the third tallest mountain in Shenzhen, following Wutong Mountain and Qiniang Mountain. Its main peak stands at an altitude of 753 meters. Though not the tallest mountain in the city, it has the steepest peaks, which in Chinese means crooked teeth. With rolling ranges, Meishajian Mountain is home to a few different peaks, including the 619-meter-tall Egongji, the 599-meter-tall Yuanshan Mountain and the 553-meter-tall Dawangding. At the southern foot of the Meishajian Mountain is the sea, and you can walk to the Dameisha Beach, hence the name of the mountain. 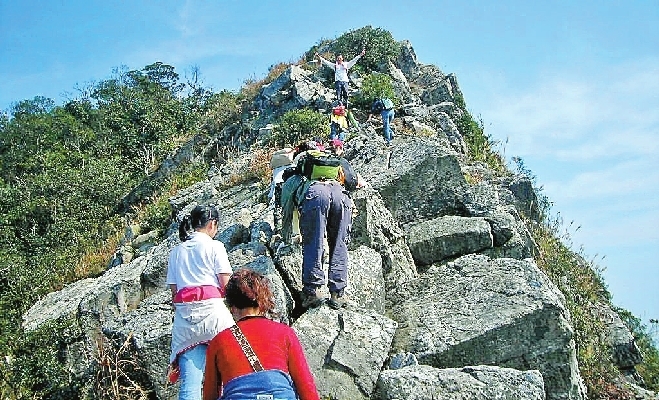 The main peak of Paiya Mountain is 707 meters tall, the sixth tallest peak in Shenzhen. The rolling mountain range looks like different rows of uneven teeth, hence the name of the mountain. 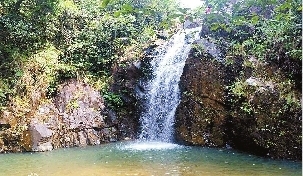 Citizens often come here for hiking and appreciating the natural landscape. It takes a total of six hours to trek the whole mountain. Nicknamed “Shenzhen’s Little Huashan Mountain,” the ruggedness of Paiya Mountain is second to none in the city. It is also the mountain with the most beautiful scenery in Shenzhen. Paiya Mountain faces Qianiang Mountain and Bijia Mountain from afar. Daya Bay Nuclear Power Plant, China’s first nuclear power plant, stands right at its foot. Located in the northeast of Nanshan District, the main peak Tanglang Peak has an altitude of 431 meters. With an area of about 15,000 mu, it has one of the most varied species of flora, so rare that they are under government protection. Tanglang Mountain has two routes for visitors to reach the summit: the winding road and the mountain trail. Which one to take depends on your fancy. Both routes offer stunning scenery to make your trek leisurely. When you reach the top, you will be able to see the scenery of Luohu, Futian and Nanshan. 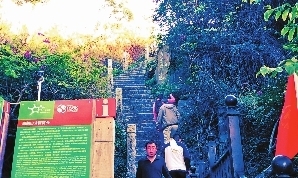 Maluan Mountain is not the most famous mountain in Shenzhen, even among the city’s long-term residents. However, it is extremely popular among avid hikers because it’s easy, safe, beautiful and varied with clear streams, lush woods, Chinese plum blossoms and one of the area’s largest waterfalls. The widely known Thousand-Mu Plum Garden here is said to be the largest plum garden in Guangdong Province. When the plum is flowering in the cold winter, the garden turns into a soft pink meadow of white-rimmed petals with rosy red centers dotting around like stars. Maluan Mountain Park is also home to a selection of waterfalls including Maluan Waterfall, Longtan Mountain Waterfalls and Lanhe Bridge Waterfall, all of which are worth checking out. With its highest peak standing around only 500 meters in altitude, both adults and kids can enjoy trekking here without too much effort.